This setting measures 4.25 mm x 2.75 mm. 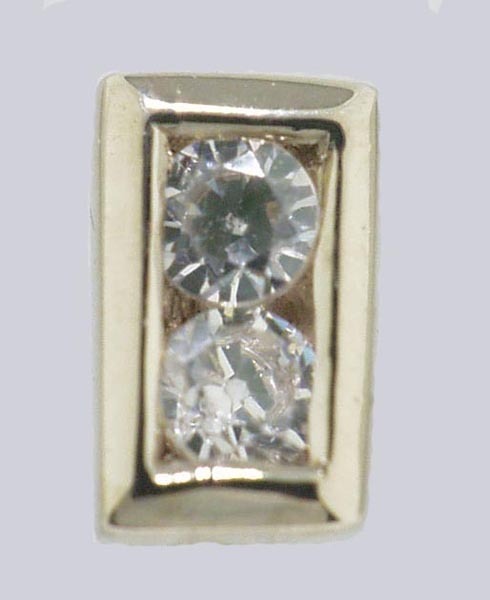 It has two 1.5 mm round stones. Available in 14k white or yellow gold.